Ceramic poppy installation at the Tower of London in commemoration of soldiers who died in WW1. The last poppy will be planted by the Queen on Nov. 11th. 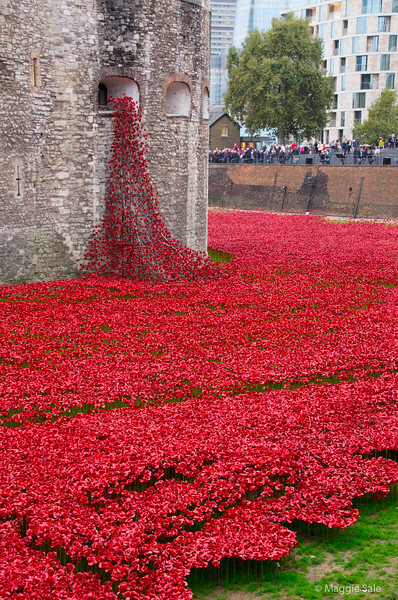 There will be nearly 900,000 poppies, one for each British soldier who died in WW1.